We’re off to a party this evening, so have decided, last minute, that we should take some nibbles with us. This recipe is based on a thought I’d had making some burgers the other week (these ones) and it seems to have paid off. They are salty, tangy, and the pastry holds together well enough to be bitten in half without disintegrating! The pastry uses a pre-mixed GF flour plus a couple of additions to help it behave how I want, as it needs to be squished and shaped the pastry has to be fairly resilient! Pre-heat the oven to 180 degrees centigrade fan. Lightly oil a baking sheet, or muffin tray. 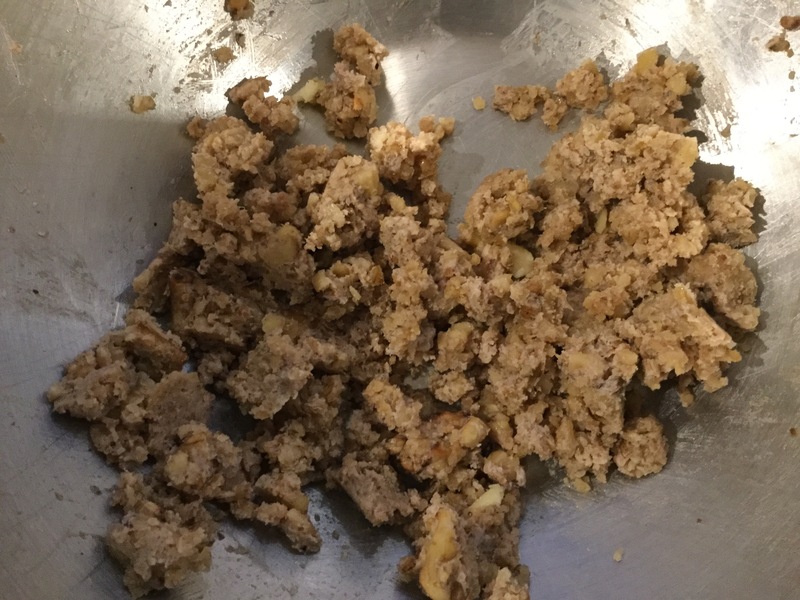 Blitz together the walnuts and fermented tofu to make a thick pate. For the pastry, mix together all the dry ingredients well then add the oil and 30ml water bring together with your hands and add more water if necessary, the pastry should be slightly sticky but hold together well. Break the pastry up into 12 balls. 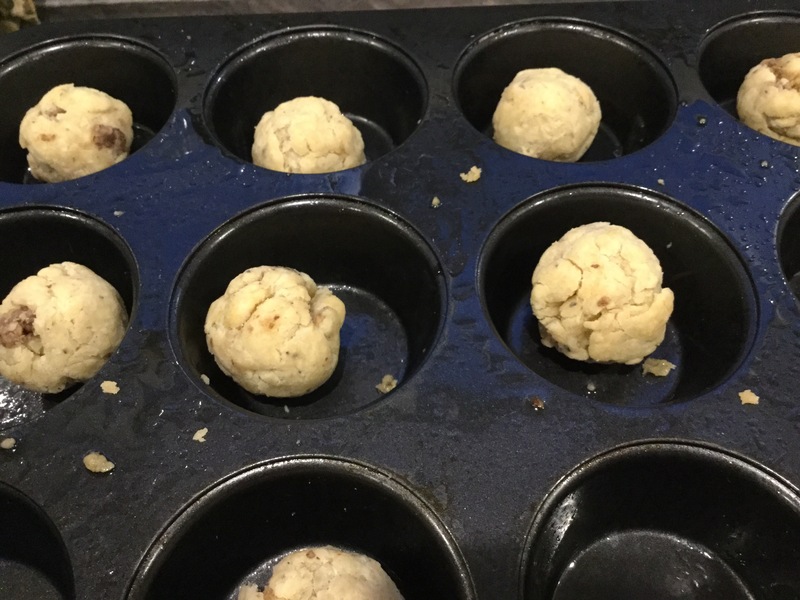 Place a ball in the palm of your hand and squash flat, add about half a teaspoon of filling into the middle then wrap the pastry round the filling to make a ball, pop on the tray. Repeat for the other 11. Bake for 10 to 15 minutes until the pastry feels crisp, leave to cool before eating.